We believe that playing sport is not just about physical activity but is essential to the holistic development of an individual. 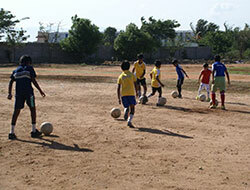 Anan has created an integrated sports curriculum that is suited to the physiological development profiles of children and is aimed at creating physical fitness and increasing confidence. 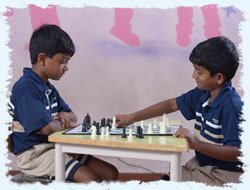 The objective of the integrated sports curriculum is to help build school’s core values of commitment, good sportsmanship, teamwork, responsibility, resilience, and healthy competition. 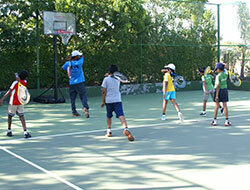 We feel that it is important to monitor fitness and encourage activity from an early age. 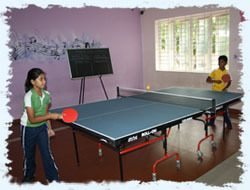 Our excellent trained squad of physical education teachers has a structured analysis conducted for each and every student which helps in identifying their individual strength and focusing on the suitable game. We believe that swimming is a fun form of exercise that should be introduced at an early age. 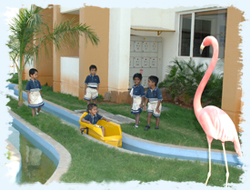 We have a Swimming pool for the kindergarten section fostering physical and gross motor development right from an early age. Boating is a physical and gross motor development activity which focuses on the art of balancing. Rock climbing is a fun learning activity which enables kids to develop their physical (motor skills), mental (cognitive skills, decision making & problem solving) and social (communication and leadership skills) skills. 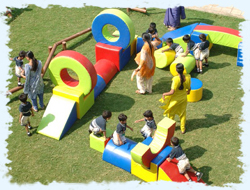 The obstacle course is a fun activity that doubles as a functional exercise to enhance the child’s motor and sensory skills. 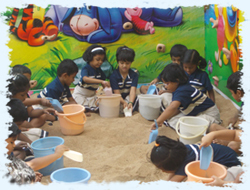 Children learn a lot about the world through their senses and sand creates an invigorating experience. 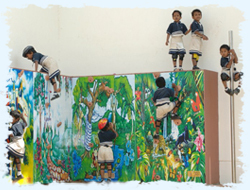 We prepare children for society and nature is the best classroom for children. Anan offers a variety of sport-oriented activities that teach new skills and allow children to have fun in our after-school sports programme between the hours of 3:45- 5:00 pm. The goal of the After School Programme is to provide your child with the opportunity to engage in a positive, active and fun environment while also learning and developing social skills, emotional skills, problem solving and conflict resolution skills. 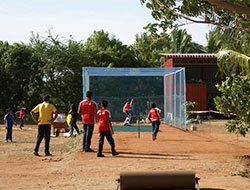 We provide a non-competitive, encouraging atmosphere that will introduce children to sports and games. 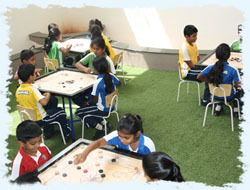 After School Sports Programme seeks to promote the mentioned features by encouraging your child to think critically, leading activities that are geared towards the promotion of optimal physical development and physical fitness, encouraging sharing and cooperation and also guiding children to play and work independently and also as a member of a group. And it also helps in the proper channelization of physical health.